Spinach and lettuce and green onions, oh my! 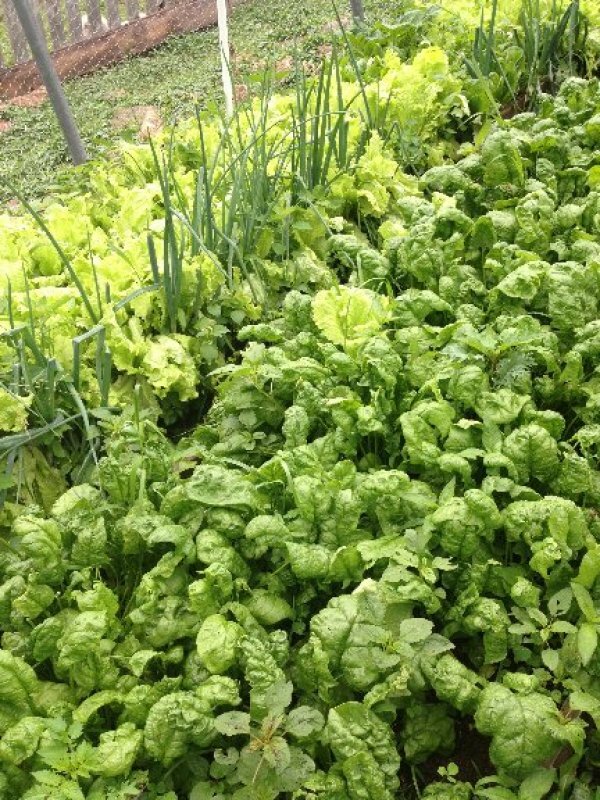 Salads are special at Randall Glen, with fresh-picked salad mix, spinach, green onions, and wonderful wild harvest greens. Our mountain offers wild salad treats like Lamb’s Quarter, Chickweed, Dandelion, Upland Cress, Chicory, and Wild Mountain Mint. Wonderful accents, too—like wild black raspberries and strawberries, blackberries, and black walnut! ← Our Smoked Steak Sandwich is fabulous, and our Smoked Dagwood Sandwich is outrageous!